Spring is alive here in the Desert Southwest! The flowers are brilliant, the smell of the orange blossoms is intoxicating, and my yard is covered with dandelions…I couldn’t be happier! The once dreaded chore of pulling weeds has now taken on a new meaning. It is definitely the time of year to begin finding dandelion, and other wild spring greens, emerging from the ground. So put on boots and let’s go foraging! 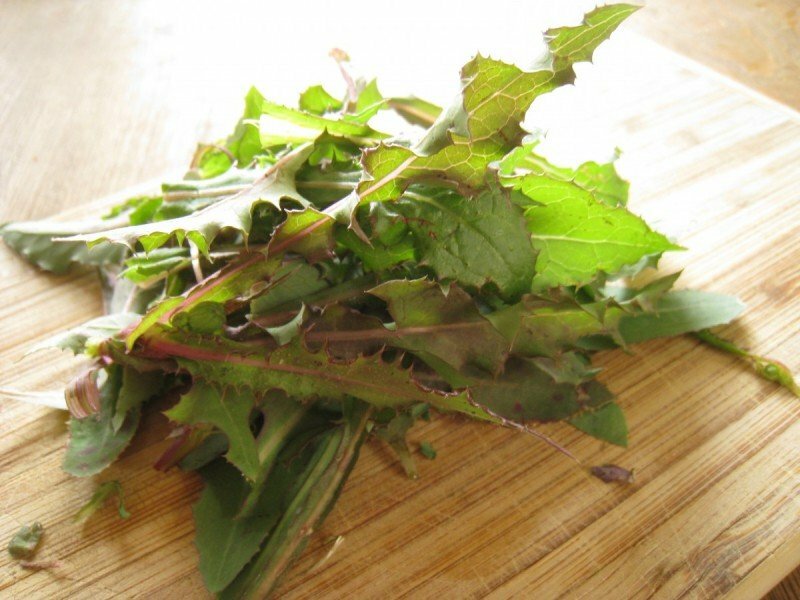 Full of nourishment, dandelion leaves are an excellent source of calcium, potassium, vitamin A, vitamin K, and vitamin C. These somewhat bitter greens are just what the body craves after the long months of winter. 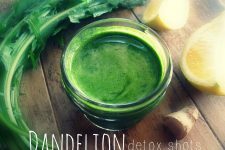 One cup of dandelion greens has as much calcium as half a glass of milk. In the old days, dandelions were picked where the grass grew tall and free — before the last spring frost and before the first bloom. Young, tender leaves taste the best! They are excellent additions to a salad, saute, or spring green pesto! When harvesting the plant be sure and pull the roots. Dandelion roots run deep, so they are best harvested with assistance of a shovel or trowel. Don’t worry though, it’s unlikely that you’ll get the entire root…they’ll be back. 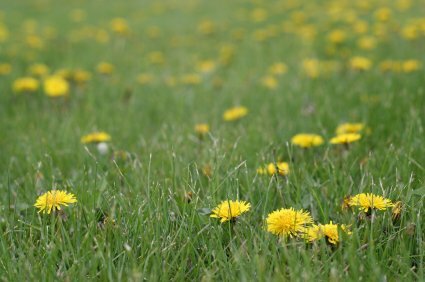 Dandelions, like all plants, are sensitive to lawn treatment. Therefore, when you go out foraging be sure that the yard is untreated with herbicides — or an other -icide for that matter. 1. Wash dandelion greens and roots very well with water, in order to remove all the sand and dirt. Separate the greens and roots from the stems. Compost the stems. Coarsely chop the greens and reserve the roots. 2. In a large skillet, cook the bacon. Remove the bacon from the skillet to cool once crisp, then crumble. 3. To the skillet, add butter, garlic, and onions. Saute until onion is translucent. Add the dandelion greens and stir to combine. 6. Remove the cover, mix in the crumbled bacon, and turn off the heat. 7. Toss with hot pasta. 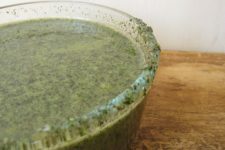 Note: Prepare the dandelion roots for a spring liver detoxification tea by spreading the chopped roots on a baking sheet and cooking them in the oven at 150 degrees F for two hours. To use, add 1 tablespoon of the roots in a cup of water and simmer on low heat for 30-45 minutes. 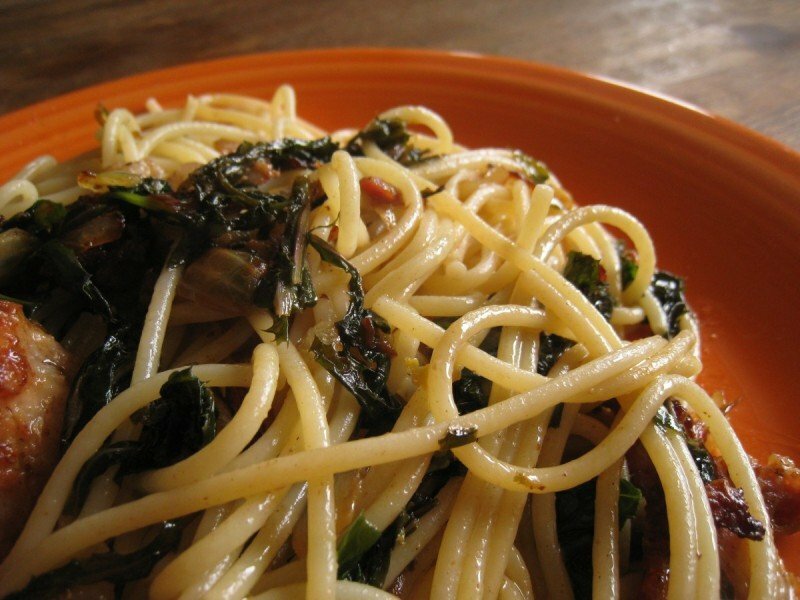 Have you foraged for dandelion greens? Please share your favorite way to eat them! Mmm, sounds tasty. Are there any negative side effects associated with dandelions? I find dandelions to taste too bitter. However, they keep the costs for animal feed down. We pick the leaves to feed the rabbit and chickens. For the next 6 months, we are going to do a lot of weeding so I don’t have to buy as much food for the pets and they can eat from the garden the same way we do. We live on an acre and dont use pesticides on our grass, so we will be trying this out for sure! Btw- did my email get thru to you? Thanks! Thank you for posting this. I was just looking at all the dandelions in my yard this weekend wondering what I could use them in. I will be trying this recipe tonight!! We’re getting ready to buy a house. Its an estate sale, so I don’t think the seller will know if the grass had been treated or when. How long would I have to wait to be sure that it’s ok? What a great looking recipe! I’m excited to give it a try. Although I’ve always known dandelions to be edible, I’ve never actually tried them. I definitely look forward to making a change this year and cooking them up! We love pasta at our house so this should be interesting variation on a favourite, with extremely local produce to boot. Thanks! I’m following this with interest …does anyone know what a ‘dandelion tea party’ is? don’t compost the roots! dandelion roots are incredibly good for you. they aid in liver and gall bladder detoxing, and are a diuretic. you wash them really well, let them dry, then chop. also, if you love coffee, but don’t like the side effects, roasted dandelion root makes a SIMILAR-tasting beverage. enjoy! See the “Note” in italics below the recipe. I was hoping this would be brought up! This weekend I pulled and dug up dandelions from around the house, washed them up and cleaned the roots. But then I thought…now what! I set the roots on the sunporch to dry and the leaves were washed up and in a bag. I will make this for tomorrows lunch! We love the tops too! My girls LOVE running out in the yard and brings me bouquets! To FRY! Bread them lightly with flour, garlic, salt and pepper and fry in butter until crispy! They FLY off the plate around here! Freshly opened blossoms work best! I don’t know if this is researched or not, but my mom used to get poison ivy REALLY badly every year and someone told her to eat dandelions to prevent that. She started eating dandelion tops each spring and she hasn’t gotten poison ivy in more than 15 years now. She used to get it so badly she had to go to the doctor every year. She hasn’t changed her habits working outside, if anything since she retired she is outside and in the woods, gardens, pastures, etc. and MORE exposed than before! I say it can’t hurt to try! you mean the flower itself? Yes, we eat the flower itself! The kids LOVE them! When everyone else sees a weed the kids see a snack! We tried fried dandelion blossoms for the first time over the weekend and some of us really liked them and some did not care for them so much. We’ve also made dandelion bread with the blossoms and it was a real hit. Rose! Dandelion bread sounds amazing! Do you have a link to the recipe? Lucky you! We still have at least two feet of snow covering our yard and temperatures that are maintaining that accumulation. I was just complaining (to the dogs, lol, as I was taking them out and heading to the chicken coop) this morning: “Dang it’s cold! When are we gonna see spring around here? It’s almost April and no dirt in sight!” Looking forward to a yard full of dandelions this summer anyway! Love all the ideas in the comments too. Thanks. We love dandelion greens! Just use them in any situation where kale or chard is used: stir fry, fresh salads, lightly cooked as a veggie side, as a bed for a veggie burger or other protein, tucked into a lasagna. 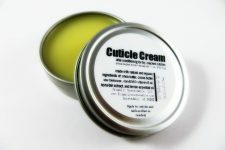 It truly is the first spring green and can be added to almost anything. Free nutrients! Dip a blossom in the batter, fry in butter until set and browning on the edges. I’m 55 and have had both of these for as long as I can remember. YUM! Lisa! Thank you so much for sharing this! We were just talking about dandelions today … when I was a kid, my grandparents had a farm and every spring we’d eat dandelion salads. They were so good!! I have a question … is it okay to harvest them once the flowers have opened up (and I’m assuming that one wouldn’t eat the flowers … only the greens … we never even ate the greens if the flowers had already opened). Thanks so much! I made your recipe tonight! It was good. My 13 year old said it was “adequate” Lol! My grandfather taught me to pick the dandelion greens before they develop flowers. The leaves tend to get bitter after flowers sprout. They are delicious in a salad, much like endive. Yes young dandelions leaves must be picked early spring before the flowers develop, later they will be bitter. I am also busy freezing young cleaned dandelion leaves for later use. SALAD : Leave the clean leaves in cold water until needed. Drain and cut the dandelions leaves into smaller pieces and put into salad bowl. Cut still hot cooked potatoes into cubes and add with crushed garlic to dandelions. Add little salt and black pepper. Add salad dressing made from oil, appel vinegar, salt and water. Pour dressing over. Mix and let stand for short. Enjoy. I once read that dandelions should be harvested a certain distance from roads, so as not to be contaminated by the tar and such. Does anyone know if this is true and what that distance is? Instead of making tea with the roots I make coffee (a trick used during the war, when there was no coffee). Chop the roots in (coffee-)bean size. Roast dry in a frying pan till dark, grind like coffee beans, and make your coffee.